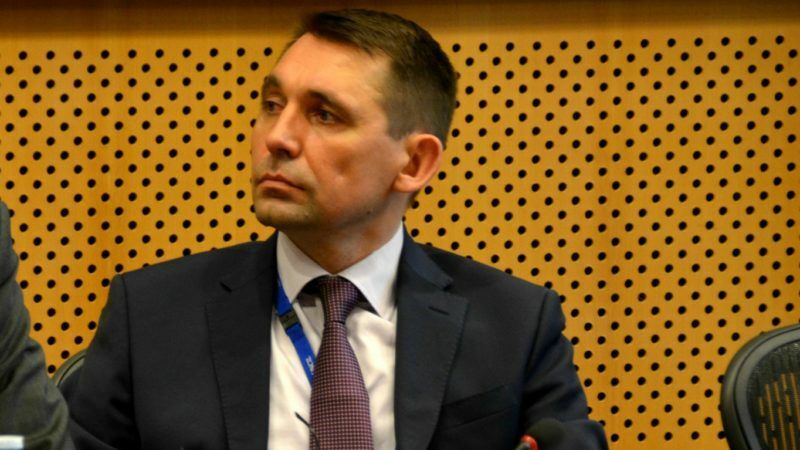 Mykola Tochytskyi is the ambassador of Ukraine to the Kingdom of Belgium and the representative of Ukraine to the European Union and European Atomic Energy Community. In the recent weeks there has been plenty of speculation around the new Ukrainian law on education, adopted by the Parliament in September. Putting emotions aside, let’s try to speak with the facts. The purpose of this law is to bring Ukrainian education system closer to the EU standards and provide equal opportunities for all. The only concern of some of our partners is arising from its Article 7, which intends to improve knowledge of Ukrainian language (according to the Constitution, the only state language of Ukraine) by all graduates of state-funded and communal schools at the same time guaranteeing free development and use of native languages by national minorities in Ukraine. The inaccurate information and superficial reading of the law lead to its false interpretation and have been used to mislead international community on the issue of the rights of national minorities in Ukraine. Moreover, some politicians have dared to use this pretext to undermine the territorial integrity of my country and claim for “self-determination for Transcarpathian region of Ukraine”. The legal analysis allows us to conclude that the Law “On Education” complies with the bilateral international agreements of Ukraine [in particular the Treaty between Ukraine and the Republic of Hungary on the Foundations of Good Neighbourly Relations and Co-operation of 1991 and Ukraine-EU Association Agreement] as well as obligations under key multilateral instruments in this sphere – namely the European Charter for Regional or Minority Languages, the Council of Europe Framework Convention for the Protection of National Minorities, Document of the Copenhagen Meeting of the Conference on the Human Dimension of the Conference on Security and Cooperation in Europe of 1990, the Paris Charter for a New Europe of 1990 etc. In particular, Council of Europe Framework Convention on National Minorities and Charter on Regional and Minority Languages provide the right to choose the way of the implementation of the national minorities’ language rights either by learning in that language or by teaching certain disciplines in that language or by teaching the language of the national minority. The Law also does not contradict the political commitments of Ukraine under the Copenhagen Сonference’s Document to ensure proper opportunities for a national minority to learn its language and to study in its language. The Association Agreement does not cover the issue of education in national minorities’ languages at all. On the other hand, under the Framework Convention Ukraine has committed to creating the necessary conditions for the effective participation of persons belonging to national minorities in cultural, social and economic life and in public affairs. In this context, the knowledge of state language of Ukraine is a prerequisite for ensuring such an effective participation. The new Law guarantees to national minorities the right to pre-school and primary school education in the national minority language, while in secondary school they can study subjects both in Ukrainian and in minority languages. By adopting this law, we do not violate the rights of national minorities. Instead, we broaden their opportunities for learning Ukrainian. Without proper knowledge of the state language, a Ukrainian citizen will not able to enter Ukrainian universities, is not eligible for public service or for public offices in the self-government bodies. According to official statistics, children studying at national minority schools have fewer opportunities than their Ukrainian-speaking peers due to their low level of knowledge of Ukrainian language. In 2016 60.1% of the pupils, who belong to the Hungarian and Romanian minorities and who compiled the External Independent Testing (EIT) on Mathematics and History of Ukraine in one of these languages, could not pass the test on the Ukrainian language. More than that, the data proved that in western regions many Ukrainian citizens belonging to national minorities do not master the Ukrainian language at all. Thus, those people cannot realize their constitutional rights, in particular for work and for higher education. To demonstrate constructiveness and transparency Ukraine submitted the respective Law for assessment of the Venice Commission. Furthermore, during his recent speech in Council of Europe Parliamentary Assembly the President of Ukraine Petro Poroshenko expressed the commitment of Ukraine to properly implement its respectful recommendations. Meanwhile, we are ready to hold consultations with all interested international partners on bilateral and multilateral levels in order to develop mechanisms for an appropriate implementation of this framework legislation. Most of our partners agreed for a bilateral dialogue on the issue. Some of them have already acknowledged that the new Law would provide more opportunities for the national minorities. But only one of them continues escalation of rhetoric, is using the tactics of blackmailing, threatening to block our European initiatives and even challenging the Association Agreement defended by more than ten thousand lives of Ukrainian citizens. This way of talking will lead us to nowhere. It is high time to stop politicizing the matter and instead to sit down together for a professional talk to dispel myths and misinterpretations. Knowledge of the official language of the state is an asset for representatives of the national minorities, but in no way a violation of their rights. It opens more opportunities for integration into the society and enriches their cultural, social and economic life.